Enables Mounting and Removal in Seconds Reduces Capital and Maintenance Eliminates the Maintenance Expense and Lost Productivity. 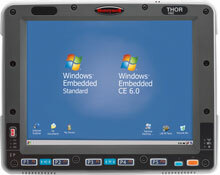 Comparatively equipped to reduce operator downtime and capital investment, the Thor VM2 leverages the same platform and innovative features as the well-known Thor VM1 vehicle-mount computer. Delivering laptop-like simplicity, the Smart Dock capability allows for the separation of the computer from the power supply empowering users to seamlessly migrate from vehicle to vehicle and reducing the required number of computers. 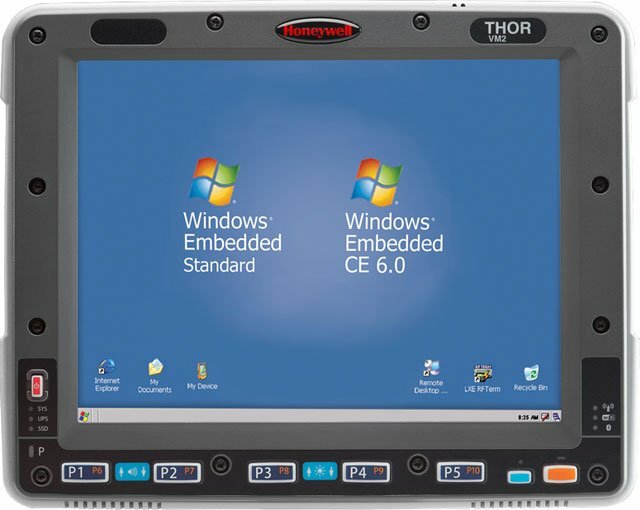 Further, the field-replaceable front panel enables singletool touch screen repairs, which significantly minimizes downtime and maintenance costs resulting from wear and tear at the most common breaking point. Lastly, the power management settings that accompany the ignition control feature virtually eliminate dead vehicle batteries and the subsequent productivity losses. The Honeywell VM2W2C1A1AUS1AA is also known as HSM-VM2W2C1A1AUS1AA	.